This Exquisitely appointed Desert Maintain retreat in Saguaro Forrest offers breathtaking views of Scottsdale and Phoenix, stunning sun rise vistas and unlimited city lights. Featured in Phoenix Home & Garden as ”DEFYING DEFINITION” by stepping outside the design box to become a ”one of a kind home!” The retracting glass doors showcase the seamless flow from the gracious interior living spaces to an outdoor entertaining paradise with negative-edge beachfront pool, billiard table, dining, kitchen with BBQ and pizza ovens, stone hearth, fire pit, outdoor heaters and VIEWS. The two garages (one climate controlled) accommodate 6 cars – a car collector’s dream! The finest of materials were selected to create this relaxed, transitional-style to promote a casual yet luxurious lifestyle. Approximate size: 58848.00 sq. ft. 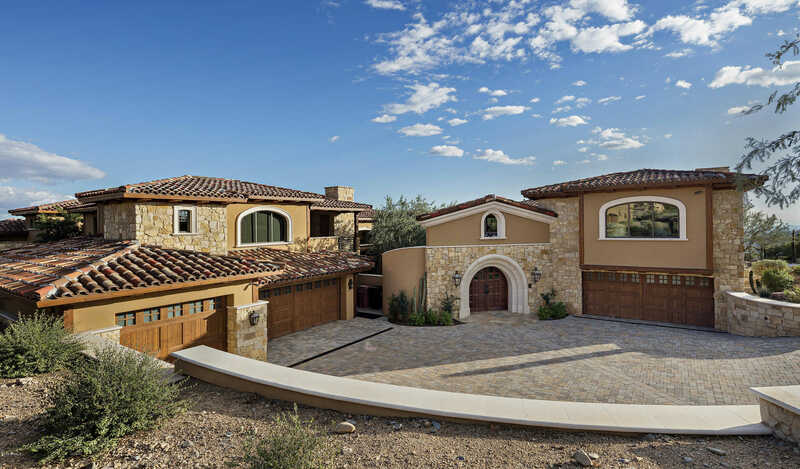 Please, send me more information on this property: MLS# 5851125 – $9,495,000 – 42203 N 102nd Street, Scottsdale, AZ 85262. I would like to schedule a showing appointment for this property: MLS# 5851125 – $9,495,000 – 42203 N 102nd Street, Scottsdale, AZ 85262.